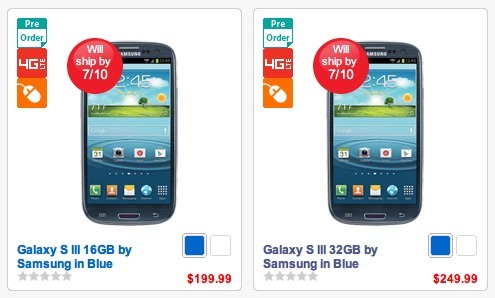 For whatever reason, the shipping date for the Samsung Galaxy SIII on Verizon has changed to July 10 this morning. The estimated “ship by” date had previously stood at July 9, so this isn’t a drastic change or some sort of delay from what we can tell. This is a Tuesday though, so can we put money on July 12 being the official release date? Any chance we see it sooner? Is June 28, the day that Share Everything goes live, still in play? Good questions that Big Red isn’t willing to give us answers to quite yet.